Singapore, April 17th 2014 – theAsianparent.com, Singapore’s #1 parenting portal, revamps to give busy parents an easy-to-use, more useful site that provides up-to-date parenting advice on mobile phones, computers and tablets. theAsianparent.com sees over 1.2 million unique visitors who read over 6 million pages monthly. The site has nearly 100,000 Facebook fans from Singapore and over 60,000 Google+ followers. 1. Blending form and fashion, the sleek redesign not only keeps up-to-date with the current design trends, but functionally presents articles in a clutter-free format to allow easy readability. 2. The redesign’s mobile-first approach gives mummies, who are constantly zipping from one place to the next, a better experience when browsing on-the-go. 3. New interactive tools engage mums to share their personal stories with each other. The Pregnancy Diary and Labour Story tools let readers share their parenting journeys with fellow mums while having a memento to show friends, families and kids when they grow up. 4. The improved and comprehensive editorial content is not just proudly written for mums by mums, but also by a spectrum of experts in order to bring the most relevant articles for busy parents. 5. The addition of new categories and sections — such as Primary 1 Registration, Birthday Parties, English and a video section — further systemises the browsing experience, allowing mums to jump right to the articles that are relevant to their parenting phase. Please let us know what you think of our new look and features by visiting theAsianparent.com, or leave a comment on our Facebook and G+ pages. Tickled Media is The Largest Digital Parenting publishing House in Southeast Asia. Headquartered in Singapore since 2009, The Company Runs. TheAsianparent.com , Kidlander.com and Pregnant.sg . The flagship brand, theAsianparent.com, is Southeast Asia’s largest digital parenting destination and reaches over 1.2 million mums in the region. The company is backed by venture capital from LionRock Capital, Tigris Capital and prominent angel investors. For more information, please Visit www.tickledmedia.com. นางสาวณัฐพร จันทร์โชคพงษ์ บรรณาธิการบริหารเว็บไซต์ theAsianparent กล่าวว่า เทคโนโลยีใหม่ช่วยให้แม่สามารถท่องโลกอินเทอร์เน็ตและสามารถติดต่อสื่อสารกับแม่คนอื่นๆ ในสังคมออนไลน์ง่ายขึ้น รวมทั้งสามารถค้นหาข่าวสารข้อมูลคำปรึกษา และช็อปปิ้งออนไลน์ได้สะดวกยิ่งขึ้น เท่ากับว่า แม่ในอาเซียนใช้เวลาท่องเน็ตแทบทุกเวลาของแต่ละวันเลยทีเดียว. The number of mothers in Asia using the Internet has been increasing steadily over the past years, as over eighty percent of mothers living in ASEAN countries nowadays seek parenting advice from websites. The latest survey conducted by theAsianparent.com, Southeast Asia’s largest online parenting magazine which boasts 1.2 million subscribing mothers, revealed that up to eighty percent of women in Singapore, Thailand, Malaysia, and Indonesia, go online more often once they become mothers. The “2014 Asian Digital Mom” study found that digital channels attract more mothers than traditional media like television, newspapers, and magazines. According to theAsianparent.com Chief Editor Nuttaporn Chanchokpong, when ASEAN mothers need some parenting advice, they turn to the Internet rather than asking for it from their own parents, family members, or friends. She said about three out of ten of Thai mothers, 31% to be exact, make decisions based on parenting websites, 22% use online search engines, and 19% seek parenting advice on Facebook. Striking statistics also show that up to 85 percent of household decisions in Thai families are made by mothers. The survey was conducted with an aim to help the media understand the wants and needs of Asian digital moms and how to reach this attractive audience segment more effectively. The study further revealed that Thai mothers are avid social media users. When asked what they would do if they had one extra hour, 34% of Thai mums said they would spend more time with the family, while another 29% said they preferred spending the extra hour on social media. The latest survey conducted by theAsianparent.com, Southeast Asia largest online parenting magazine which boasts 1.2 million subscribing mothers, revealed that up to eighty percent of women in Singapore, Thailand, Malaysia, and Indonesia, go online more often once they become mothers. The â2014 Asian Digital Mom study found that digital channels attract more mothers than traditional media like television, newspapers, and magazines. For more information, please visit theAsianparent.com. SINGAPORE, Mar. 5th, 2014 – Tickled Media, Asia’s leading parenting network, has recently hired Neetu Mirchandani as the Vice President of Strategic Alliances and Communications for Asia Pacific. Neetu will be responsible for handling tactical business development efforts and overall profit and loss for Tickled Media across four countries (Singapore, Thailand, Philippines and Indonesia). The first project Neetu will spearhead with Tickled Media is “The Asian Digital Mum Report”. The report, based on in-depth market research data of over 10,000 mums across Southeast Asia, examines the lives of Asian mums in today’s digital world. 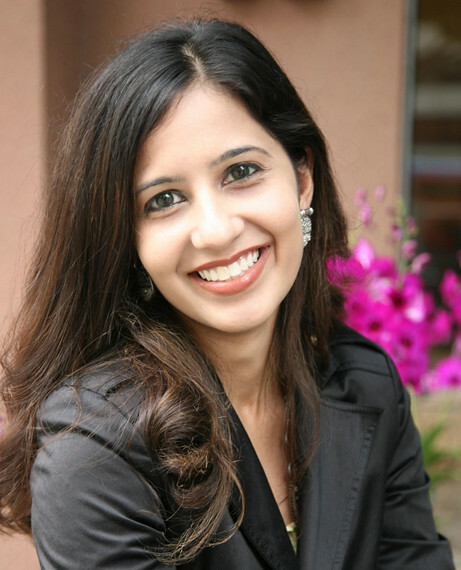 Neetu comes to Tickled Media with over thirteen years of legal and media experience across the US and Asia. She is the power blogger known as “SuperMommy”. With over half a million followers, Neetu is also the most followed Google+ personality in Singapore and 6th most influential Google+ female personality in Asia. Neetu has a Juris Doctor from Loyola Law School in California and a dual Bachelor of Arts in Political Science and CLEG (Communications, Legal Institutions, Economics & Government) from American University in Washington D.C.
SINGAPORE, Feb. 28, 2014 — The video has attracted over 2.4 million views on YouTube and been covered in over 40 local and overseas media outlets including an illustrated front page article in The Straits Times. Tickled Media’s video campaign aimed to establish theAsianparent.com as the largest parenting network in Singapore. The video was inspired by Singapore prime minister Lee Hsien Loong’s speech at the 2012 National Day Rally encapsulating the pressure surrounding primary school students. Caption: Screengrab of Super Kancheong Style Music Video. Caption: (Left) Tickled Media wins Silver for Most Creative PR Stunt (Right) CEO of Tickled Media, Roshni Mahtani at the inaugural PR Awards. Tickled Media was the only online media house to receive an award at the prestigious PR Awards, which recognises and honours the best of Singapore PR across various communication disciplines. Other nominees for the award included Fiji Water, Jetstar SEA and MTV Asia. More than 70 client-side organisations and about 40 agencies made it to the final round. Winners were selected by a judging panel consisting of senior-level communications practitioners from a wide range of industries including Audrey Mok, General Manager, Head, Corporate Communications, Sony Electronics Asia Pacific and Mark Chakravarty, Communications Director, Global baby, feminine & family care, Procter & Gamble. Click here to watch theAsianparent’s Super Kancheong Style parody. Monday Dec 23rd, 2012 Singapore – A Christmas shopping survey published today revealed that Singapore mothers prefer discount vouchers to socks or even gym membership. The survey by kids fashion e-tailer MissVanda.com tried to find out more about how parents carry out holiday shopping this year. With competition to attract Christmas shoppers already fierce amongst high street retailers, online stores seem to make their presence felt this year. 1 out of 7 mums indicated that they would make all their Christmas purchases online. Another whopping 42% shared that they would spend at least 20% of their budgets online. The study, conducted last week among Singapore-based mums also revealed that 69% will buy gifts for less than $50 per child. Their top two choices for gifts for their kids were toys and clothes. Clothes were an especially popular option as 45% of parents indicated that their children don new garbs on Christmas day. Interestingly enough, 55% of the mums shared that they enjoy dressing their kids up in clothes that matched themselves. With regards to ranking the most unpopular gifts, gym memberships won the prize, closely followed by socks, discount vouchers, kitchenware or food baskets. And the top item on the wish list for Singaporean mums? Cliché as it sounds – to have a happy family. A total of 61 mums responding from within Singapore took part in the survey. The invitation to participate took place on the MissVanda.com website and the actual survey was done using an online questionnaire. 1) Respondents were predominantly aged between 26-40. 2) 95% of respondents were women. 3) 54% had 2 kids or more. 12) 55% of parents like to dress their kids to match themselves. Singapore, April 12th, 2012 – WorldBlu, a company specialising in organisational democracy, today announced Tickled Media as the first Singaporean operated company to be certified as a globally recognized democratic workplace. Companies become eligible for a spot on the WorldBlu List of Most Democratic Workplaces™ only after its employees complete an assessment evaluating their organisations practice of the WorldBlu 10 Principles of Organisational Democracy™, with an overall combined score of 3.5/5 or higher. The assessment was developed based on a decade of research into what makes a world-class democratic company. Organisations from the for-profit and non-profit sectors that have been in operation for at least one full year and have five or more employees can apply for WorldBlu certification. 47 other for-profit and non-profit organizations from across the US, Canada, Mexico, the UK, the Netherlands, Denmark, Malaysia, Haiti, India, New Zealand, and South Africa made the WorldBlu List of Most Democratic Workplaces™ 2012 from a diverse range of industries including, technology, manufacturing, healthcare, retail, services and energy. The organisations ranged in size from five to 90,000 employees representing over $17 billion in combined annual revenue. A democratically managed workplace focuses as much on giving power to the people as it does on smart business strategy, which eventually directly impacts the bottom-line. Manchester, NH-based Infrastructure-as-a-Service (IaaS) leader Dyn (pronounced ‘dine’) solicited ideas from their employees through an internal version of Pinterest before moving into their new 25,000 square foot facility. In the last year since fine tuning democratic management, they have increased annual revenue from $10 million to $17 million, opened offices on the West Coast and in Europe, and more than doubled their employee count. “Businesses that are open to organisational democracy are usually nimble, resourceful and actively maximizing their human potential,” comments Kim Jordan, CEO of Fort Collins-based New Belgium Brewery, which has over 430 employees and boasts a 97% retention rate. WorldBlu-certified organisations make use of a variety of unique practices that are distinctly democratic, give power to their people, and contribute to profitability, high performance and employee engagement. At Zappos.com, headquartered in Henderson, NV, there are “Skip Meetings” held twice a year where everyone has the opportunity to interact with their manager’s manager. They share ideas, feedback and solutions, providing a direct voice-of-the-people perspective on how to drive positive change in their departments. At Tickled Media a team “lunch and share” session is held every Friday where one employee gets a chance to share their thoughts on their choice topic and the rest listen, relax, and enjoy good food. The company also goes on yearly holiday destination retreats to enhance the company’s sense of unity and provide an opportunity for anyone to voice their opinions or suggest improvements. Rather than fear in the workplace, WD-40 Company’s CEO, Garry Ridge, believes they are in the “memories business” and has built a culture around creating positive lasting happy memories for employees, consumers, and shareholders. WorldBlu has offices throughout the US and UK and specializes in organisational democracy and freedom-centred leadership, with organisational and individual members in over 70 countries worldwide. Founded in 1997, WorldBlu’s vision is to see one billion people working in free and democratic workplaces. For more information about WorldBlu, visit the website at http://www.worldblu.com. Singapore/Moscow, February 21st 2012 – LiveJournal, the world’s first blogging and social media platform, today announced the launch of LJ Checkout to provide state-of-the-art e-commerce facilities for its bustling blogshop community. LJ Checkout is a combined product catalogue, shopping cart and online payment system enabled through two strategic tie-ups in Singapore and Malaysia. Users will be able to choose from four available packages best suited to their business needs. They will additionally enjoy a 10% discount on these packages that will enable them to run their online stores across multiple social and blogging platforms with no extra effort. On board as the official payment gateway for LJ Checkout is Malaysia-based MOLPay Sdn Bhd, a Southeast Asian online payment provider which enables e-commerce merchants to collect payments securely through physical and online payment channels including NETS and AXS Kiosks in Singapore as well as MEPS FPX in Malaysia. LiveJournal has also signed an exclusive deal with PayWhere Pte Ltd, a Singaporean provider of the social e-commerce system TackThis!, the online software which will power LJ Checkout. “Angel’s Gate, the reality TV show airing on Channel NewsAsia has been receiving an overwhelming response from male entrepreneurs. LiveJournal blogshoppers are predominantly women, and we hope that LJ Checkout will prove to be a boost for online female entrepreneurship”, added William Klippgen, Director of Tickled Media and Judge on Angel’s Gate. LiveJournal.sg is Singapore’s largest female blogging and shopping portal attracting over 1 million unique visitors each month. LiveJournal is owned by SUP Media, an international digital media company based in Moscow, Kiev and San Francisco. LiveJournal is a rich, social media platform with a global following of more than 65 million monthly readers. Since its inception in 1999, LiveJournal has evolved from a journaling network into a vibrant, community-driven destination site. LiveJournal has more than 35 million international accounts. For more information, please visit www.sup.com/en. Monday Nov 14th, 2011 Singapore – Friday night saw the first blogshop fashion show ever staged in Singapore. Hosted by LiveJournal.sg, the event attracted over 200 guests including top bloggers and blogshop owners as well as local celebrities, online business executives and the media. Blogshops that showcased clothes and accessories in the fashion show inside the nightspot The Butter Factory included DressaBelle, My Glamour Place, Momoteapots, Wonderstellar, FashPash and Rashonal. Blogshopping has notable become the preferred way of shopping for women in Singapore between the ages of 18 and 25. Whilst window-shopping has not lost its charm, the variety, the high discounts and sheer ease of shopping online, has resulted in a drastic switch. A typical dress in a blogshop costs approximately S$18 while accessories can go for under S$5! Blogshops also offer additional revenue streams for cash-strapped students and other entrepreneurs eager to tap into the region’s rising volume of e-commerce. LiveJournal.sgalready hosts over 5,000 active blogshops in Singapore, along with which the site sees over 1 million visitors and over 30 million page views each month. and Backstreet Boys’ “Larger than Life”. Mahtani added that her company expects online shopping in South-East Asia to grow even faster in 2012 as Asia is catching up to the level of e-commerce seen in the US and Europe. LiveJournal.sg is Singapore’s largest female portal, predominantly used for shopping. This October saw over 1 million unique visitors to the site. LiveJournal is owned by SUP Media, an international digital media company based in Moscow, Kiev and San Francisco. LiveJournal is a rich, social media platform with a global following of more than 36 million monthly readers. Since its inception in 1999, LiveJournal has evolved from a journaling network into a vibrant, community-driven destination site. LiveJournal hosts more tha 30 million international accounts, with approximately 10 million in the USA and 5 million in Russia. For more information, please visit www.sup.com/en. Tickled Media is a Singapore based digital publishing house that operates LiveJournal for Asia and other digital magazines like theAsianparent.com, Kidlander.com andhoteldeals.sg. The company delivers innovative, online campaigns for both local and multi-national companies in the region for clients like Nestlé, Sentosa, Singapore Institute of Management (SIM), PropertyGuru.com.sg and Pfizer. Tickled Media has received investments from business angels and local media investement fund, Tigris Capital Pte Ltd.
For more information, please visit www.tickledmedia.com.sg. Images & Graphics from the event.